Fall is here! What's not to love? With fall comes pumpkin spice lattes, sweater season, and sweet potatoes. Plus it's the perfect time to revamp your workout routine. Why? Because the temperature is ideal for exercising outdoors. 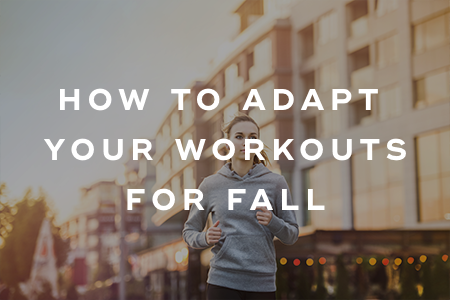 Here's how to switch up your workout routine this fall. Don't wait for New Year's to start making positive changes. Instead, create good habits for the upcoming winter months. 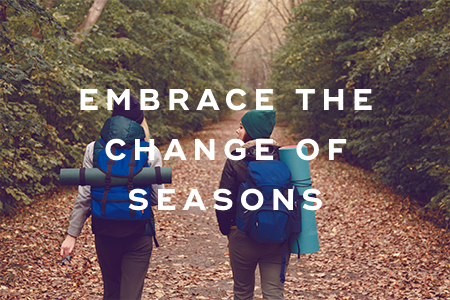 With the change in season comes a new mindset to begin setting new goals for yourself. Walking, hiking and cycling are all great fall activities. You can also discover new parks and trails during this time of the year, and you don't have to worry about getting overheated like in the summertime. Remember, too, that whatever you're doing doesn't have to seem like exercise for it to be a great workout. In fact, raking up leaves or doing other outdoor yard work is a fabulous way to get in some cardio. Bundle up. With fall comes cooler weather. Make sure to wear layers. This is especially true since fall weather can change at a moment's notice. Layering clothes will enable you to remove items when you start to heat up or put back on if you feel chilly. Drink water. A lot of people forget to stay hydrated during the fall because it's not unusually hot outside. But you'll want to keep consuming water as you usually would. Always pack ample water. Bring snacks. If you're going to spend most of the day hiking or biking, bring with some power bars, nuts, and fruit so you'll always have a constant source of fuel. Stick with it. Don't ditch workout and lifestyle changes if you aren't getting immediate results. Remember that it takes four weeks for your body to adapt to these changes. Be smart and safe. Daylight continually decreases throughout the fall. If you're running or bike riding outdoors, make sure to wear a reflective vest and carry a flashlight. 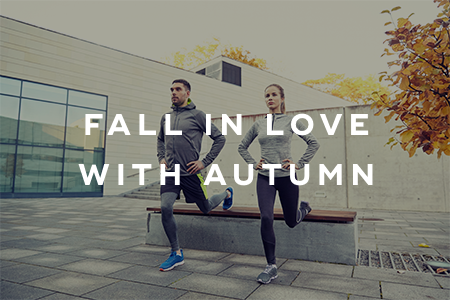 Fall is the perfect time of the year to switch up your workout routine and set new fitness goals. You can easily exercise outdoors without getting overheated. As with any changes that you make, it's essential that you stick with your new exercise routine for at least a month. "10 Tips for Fall Fitness," Huffington Post, November 23, 2014. "Fall Workouts: Three Things to Do to Change Up Your Exercise Routine," Huffington Post, August 16, 2016. "The Best Reason to Work Out Right Now," Women's Health, October 22, 2013.